(This is a Real Book, not a downloadable PDF. If you’re an executive or manager wanting to transform your team into a “world-class” high-performance team, then this is the book you have been looking for. It’s easy to find yourself dreading Monday morning because you know what lies ahead of you is yet another conflict between members of your team you must resolve. The pressure is on you and your team to improve performance, increase productivity, come up with solutions and achieve your critical KPIs. This is why you’re here, wanting to build a high-performing team and Malcolm Dawes is considered one of the most sought-after authorities on people performance and effectiveness. 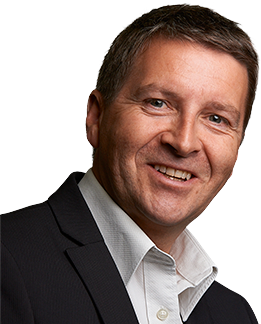 Malcolm has helped hundreds of senior executives and top-level managers with relationship strategies for dealing with the differences in teams. How would you like to substantially increase your effectiveness as a team leader? In his book, Team Performance: Why Can’t We All Get Along?, you’ll discover that although an individual’s personality is as unique to them as their fingerprint, often their behaviour is contained within a systematic, predictable structure. And by understanding that structure, you’ll gain greater insight into how your team behavioural patterns influence what they want, need, and expect from you. Any executive or manager can build a high-impact, high-performance team by using the ideas, techniques, and examples from Malcolm’s book because it shows you how to bring a team of intelligent and opinionated people into a stream-lined productive team. Team Performance: Why Can’t We All Get Along? will help you dispel the 10 myths that most executives have about unlocking the true potential of their teams. Team performance and productivity have been a deep issue within organisations for decades. Many consultants have attempted to uncover what it takes to maximise the potential of teams and their ability to create results. What many have missed along the way is human nature. They have overlooked the human condition with all its disparities in personalities and what it really takes for everyone to get along. There is an assumption that because we may know another person, we understand them. The truth is that we probably don’t. As human beings, we think we understand people because we make judgments about them. This judgment happens without conscious effort by us – we do it because it is a security mechanism. I have been intimately involved with many multi-disciplinary teams across every industry imaginable. I have personally engaged and worked with hundreds of teams and their leaders to solve the most complex inter-team and interpersonal issues that hold people back from doing their best work. From the staff in office support to finance to sales and marketing to legal and distribution – they all need to understand how to work with people. After all, if you can’t get on with people, how do you ever hope to have a high-performing team? Malcolm Dawes is the most sought-after authority on people performance and effectiveness for senior executives who are responsible for producing high-performing teams. He began his career in the public sector working, moved to the corporate environment as an employee, and finally starting and growing a successful business. For over 30 years, Malcolm has experienced first-hand the struggles that executives face with accelerating the performance of their teams. He has been engaged as a performance expert by large multinational companies around the world such as Lloyds Bank, Pfizer Pharmaceuticals, and Sony Consumer Electronics, as well as many small and medium businesses. In Team Performance: Why Can’t We All Get Along? 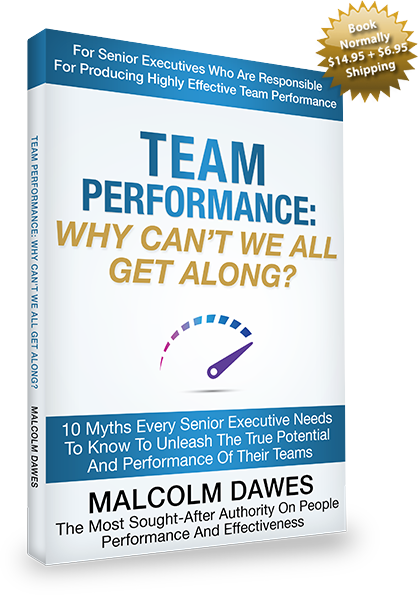 Malcolm dispels 10 myths that many senior executives have about unlocking the true potential of their teams. He highlights the core issues of human nature and shows how understanding behaviours as a leader and co-worker is the key to team effectiveness. This book contains real-world experiences of all levels of people in a wide range of industries, everything from banking and finance to entertainment and telecommunications. Malcolm is passionate about helping businesses find the elusive answers to their people issues and will guide your company to its most successful team performance and effectiveness.